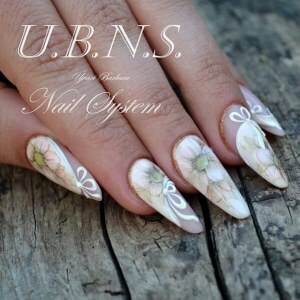 The unusual design of short nails. 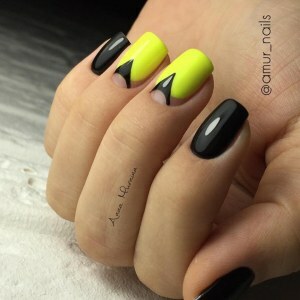 Black and yellow gel polish design on the nails square shape. 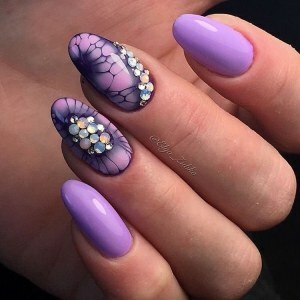 Purple nails with pattern on wet gel polish and rhinestones. 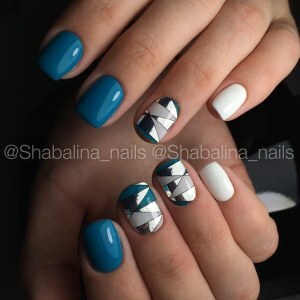 Silver half-moon manicure on white nails. 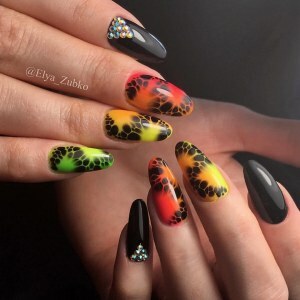 Great nail design idea: painting on wet gel polish, rhinestones, multicolored nails. 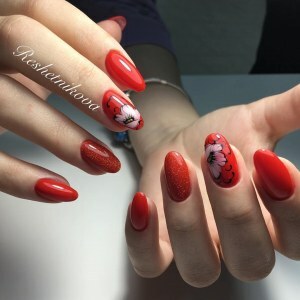 Magnificent nail design with flowers (vintage nail-art). Short white nails with rhinestones. 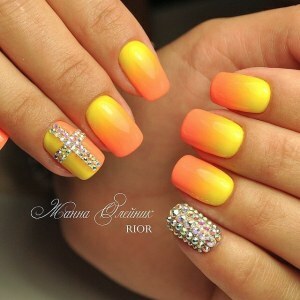 Yellow and orange ombre manicure with rhinestones.